In my previous blog post I have mentioned that most of our job candidates state in their CV-s that they work great under pressure. The thing is ... nobody works grate under pressure. The only difference between people is whether they break under pressure or not. The pressure is something well known to probably every programmer, but hopefully it isn't present every day. When I say pressure, I don’t think of managers forcing programmers to code for long hours. I rather think about situations when you must finish something that you care about very much, but the situation makes it almost impossible. Because pressure is probably guaranteed thing, first thing we can do is become aware of it. I have met two kinds of pressure: negative and positive. This pressure emerges once you start to break your deadlines only to find out that your solution didn't satisfy customer requirements. The code is very bad, there are problems everywhere and everybody is pushing the problems under the rug because there is too much of them. Nobody can get anything done because of the piled up impediments and codebase that have become super complex and meaningless. Even when you get something done, you later find out that some existing functionality was broken by your changes. You wake up in the morning sick of thinking you are going to the same unsolvable problems again. At the end the tension between teammates becomes evident because someone must be quality for this state. Is it the programmers, the testers, the managers? The only positive thing in this situation is that you will learn many things that you shouldn't do as a programmer because they will come back to bite you. Also you will have a scary story up your sleeve that can come in handy when you need to dramatize bad practices that could cause another project to get in this state. Until this state becomes just an anecdote, listen to Freddie Mercury's advice, it may help. 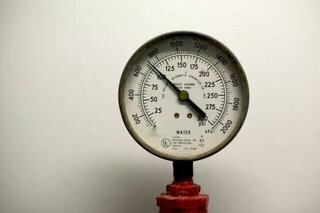 Negative pressure is pretty obvious with its causes and side effects, but positive pressure is something much more subtle and hidden. It happens in opposite situations, when group of people has a big challenging goal ahead of them. This is never an easy task but everyone is doing the best they can. You could say that everyone is striving for perfection. Because perfection is impossible and mistakes are happening, the positive pressure emerges. When people in these situations are really really dong the best they can, thinking of the challenging problems when they go home, trying to help everyone, they become very tired and sensitive. If they feel that their efforts are unappreciated they will be devastated. The more everyone is committed the more likely they will neglect this social component of successful projects. As you can see, there is no real problem here, because this is only a slight problem in communication, but with possible serious outcomes. So if you identify positive pressure, talk about it with your collages and say how much you appreciate their work. Everyone will feel that they are fighting on the right side again and keep doing the best they can.